We Provide Landlord Gas Safety Certificates In Catford, SE6. Professional Gas Safety Inspections For Your Property In SE6. Take Your Carbon Monoxide Safety Responsibilities Seriously As A Landlord. Are you a local landlord who needs a gas safety certificate in Catford (SE6)? Trustworth Plumbing is the company everybody can rely on. You can quickly arrange for our expert engineers to visit your property. You can do this by calling 020 8670 4443. For all emergencies you can call us out of hours on 07951538977. If you are a new landlord, owning properties, comes with many responsibilities. As a landlord, you must make it a priority to fully understand all legal requirements expected of you. The 1988 Gas Safety (Installations and Use) Regulations Act was expertly passed to improve upon gas safety. As a landlord in Catford you must legally get a Gas Safety Certificate every 12 months. It is reckless and illegal to use somebody who isn't fully qualified to carry out gas work. Our local, dedicated team are among the most safety obsessed engineers in South-East London. 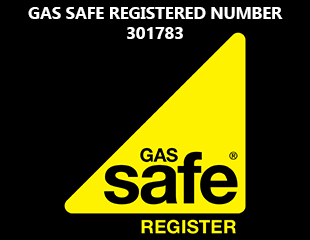 Trustworth Plumbing are on the Gas Safe Register. Please check our registration number 301783, on their website. Every check and test we perform, is done within the constraints of strict safety guidelines. We know why it is essential to work with true precision. Simply making errors, is not an option, available to us in our line of work. Our professional team will do rigorous checks on all flues, gas pipework and appliances. Are you are a landlord in Catford who is taking an extended trip abroad? Make sure before you go you know, if you're legally responsible for the gas safety checks. If you have hired a housing agent to look after your properties, check your contract. It should always be transparent enough to clearly state whose responsibility it is. As a landlord you have a legal obligation towards your tenants. It's your duty to make sure all the aspects of gas aspects at the property, are in safe, working condition. 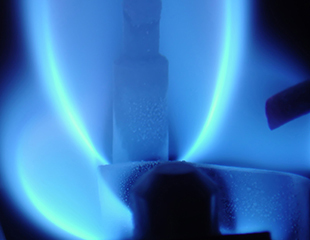 Get a dedicated professional to check each gas appliance with expert precision. There are lots of local companies who offer Gas Safety Certificates in Catford. What makes us stand out from other companies is our perfect safety record and ability. Every test we do is professionally done with 110% skill and concentration. We take our job very seriously and never cut corners on any test. Working with gas doesn't allow you to have a margin of error. Otherwise the lives of your tenants would be in danger. There is essential documentation that landlords have to give to their tenants. If you're a tenant, ask your landlord, today to provide you a copy of the gas safety inspection. You need to know for certain that all checks have been professionally carried out (by a qualified company). That will give you peace of mind. A copy of the document detailing all of this has to be handed over to you, within 28 days of the gas safety inspection. All new tenants must take this issue of gas safety seriously. Landlords must keep a copy of the document for 24 months. Our local, hard-working heating specialists are 100% focused when doing any check. If there is any uncertainty with a result of a particular check, we do it again. If you fail any part of the inspection, you have done so for a very specific reason. A gas safety certificate in Catford will only be issued if all your pipework flues and gas appliances, pass all required tests. Every single check is expertly managed with complete precision This is all done under the strictest safety guidelines and conditions. We truly hope that you take the safety of all of your tenants very seriously. Make a change if you have had previous bad habits regarding this. Catford is a busy district with a dog track and has different property types. You'll find three bedroom terraced houses to six bedroom semi-detached properties. Are you a local housing association who needs a reliable specialist heating company to do gas checks? Trustworth Plumbing is the answer. Are you a new landlord in SE6? Well, it is very important to get into the habit of booking regular gas safety checks. Only a fully qualified engineer can officially carry out required checks for this legally required test. If you fail any part of it, Trustworth will not issue you a gas safety certificate. Important issues that need to be checked by an expert, are aspects like flue flow. Every gas appliance will be carefully checked to see if they have the correct level of ventilation. Your boilers will be put through a number of rigorous tests. The burner pressure and gas rate will also go through precision checks. They are accurately compared to your manufacturers data plate. Trustworth doesn't freely hand out gas safety certificates. We take our job very seriously. Arrange for one of our team to visit you today. Carbon monoxide is a merciless and silent killer. Odourless and deadly, it claims around 50 lives each year. The NHS says it treats around 200 people every year, affected by carbon monoxide leaks. 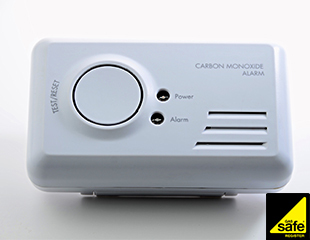 All landlords are now legally required to fit a carbon monoxide detector, in every room that have a solid fuel source. This is to be done without exception. October 1st 2015, saw that legal requirement put in place, for all landlords to follow. This law has been saving lives. For anybody who fails to comply, they face a fine (up to £5000). We don't want to read about any incidents in Catford. Call us to book a gas certificate test / inspection today.